Do you love animals? 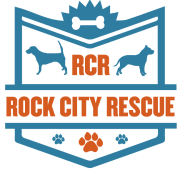 Become a volunteer for Rock City Rescue! Our animal rescue is located in Central Arkansas, but we save dogs and cats from all over the state. In 2017, we adopted out approximately 160 dogs and cats and had 40 more in foster homes. We appreciate your interest in helping the homeless pets of Rock City Rescue and we want to thank you for taking time from your busy lives to help us and, more importantly, to help the pets we rescue. With all of us working together, we can make a difference in the lives of these wonderful pets and find them loving forever homes.